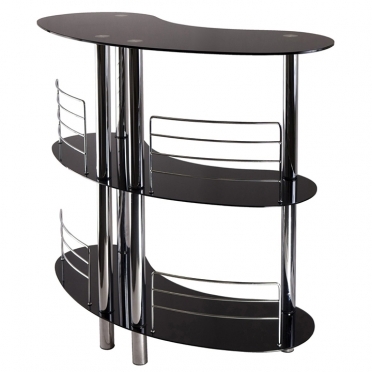 When your event requires a contemporary bar, this portable unit is ideal. 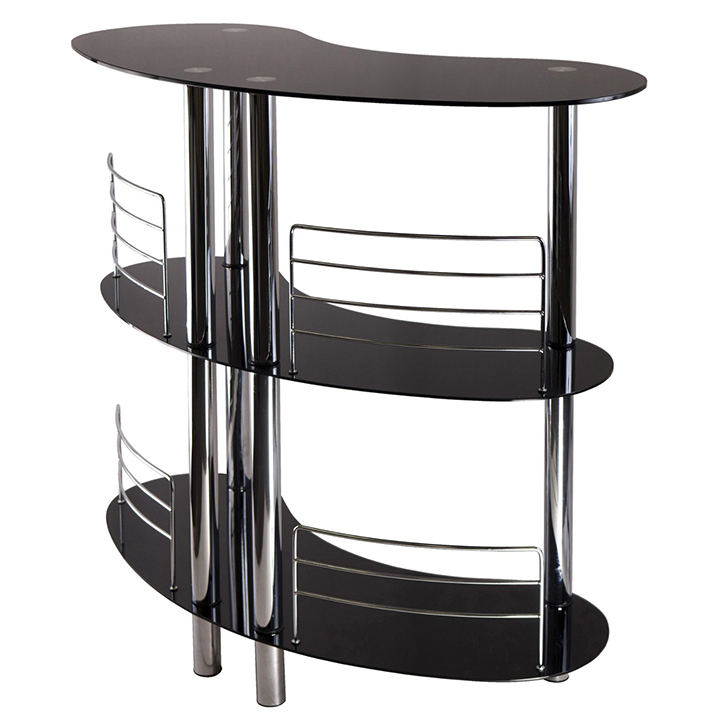 It provides function and elegance to any party. 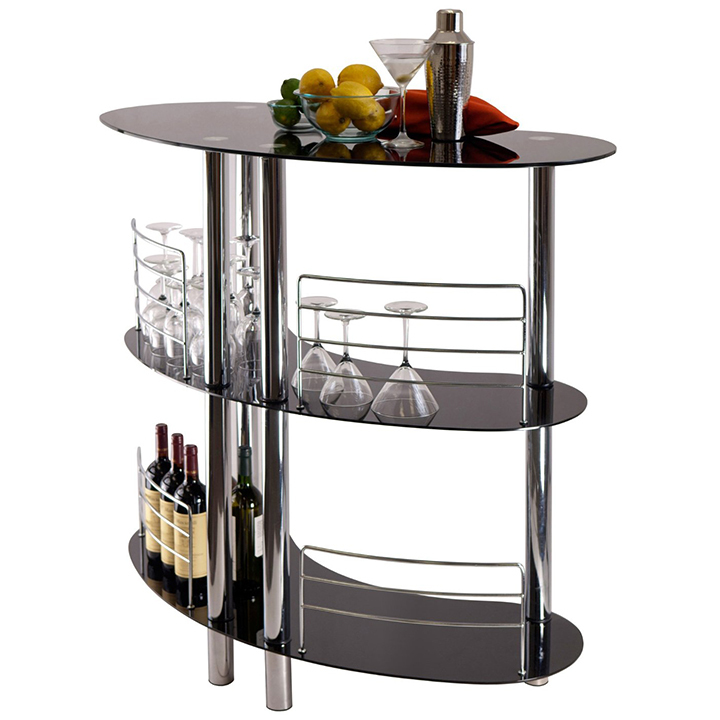 Its stylish design features curves that offer plenty of space for serving all of your beverages. The chrome accents add to the modern appeal. For extra stability, the metal rails are a nice touch. The glass finish is easy to clean, so spills will never be a problem.